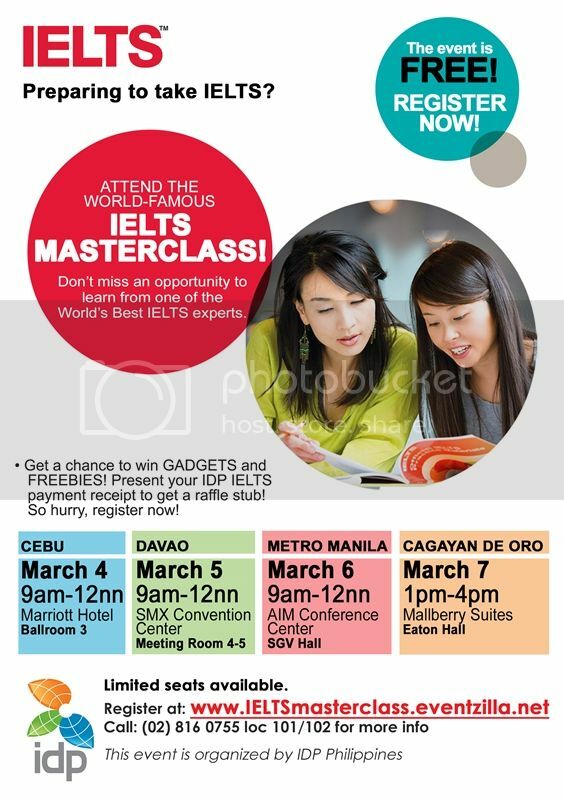 IDP will be holding a series of IELTS masterclass in different major cities in the Philippines including Cebu, Davao, Cagayan de Oro and Metro Manila. The masterclass will kick off in Cebu this March 4 at Marriott Hotel Cebu Cardinal Santos Avenue at 12nn. The event will discuss tips on how to achieve your target score in the IELTS test. The world renowned event is for free but you need to book your seats at http://www.ieltsmasterclass.eventzilla.net.